That sounds dramatic doesn’t it? 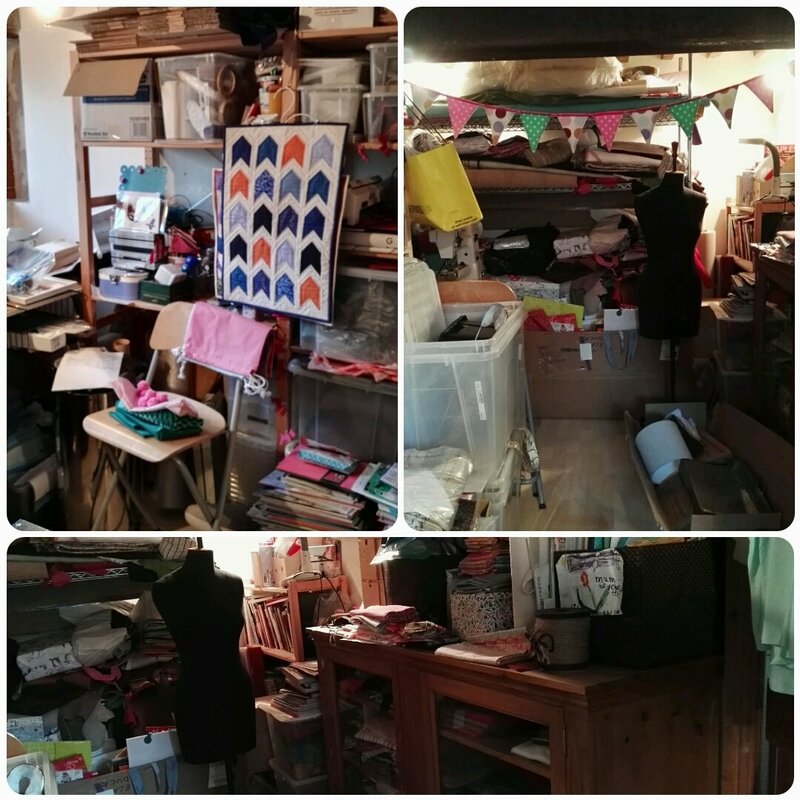 In reality the start of the year is being commemorated with a big fat tidy of my workroom/studio. 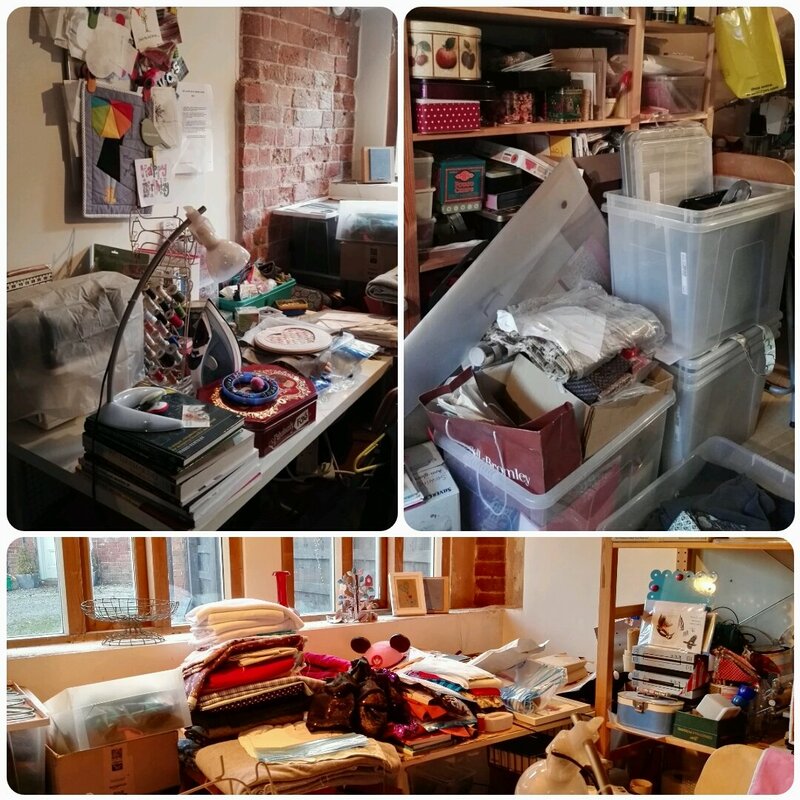 Check out the big fat mess it was in…. Oh, the shame! Hardly an inch of clear space in the whole room. If the girls had left their bedrooms in a state like this then they would have been in all sorts of trouble! So, the upshot is that over the break between Christmas and New Year I spent many, many an hour tidying up. Too many hours in fact to admit to! Check that out, two clear desks! 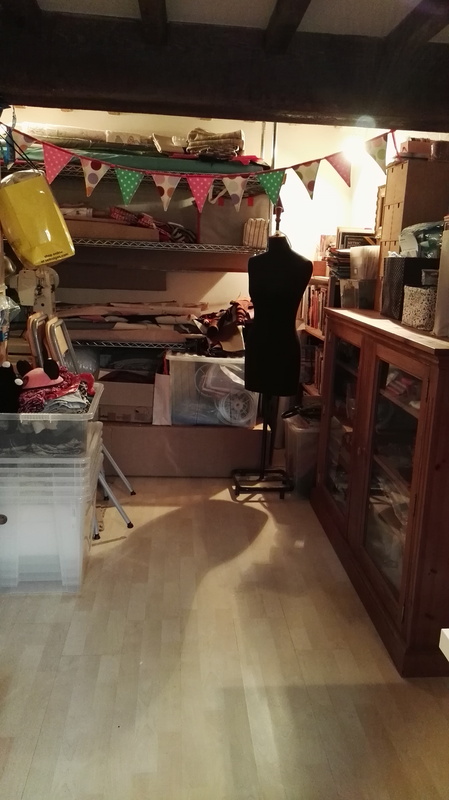 And look, actual floor space….. 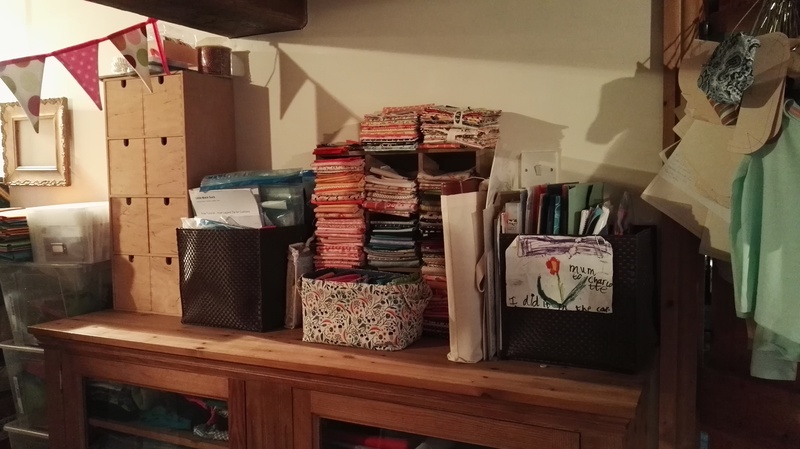 I even tidied up my fat quarters and re-claimed the top of my storage cabinet. As you can tell I didn’t really do that much clearing out, just putting things in their right place and finding homes for bits and pieces. I tell you what, it feels so good, So great to walk in and not feel overwhelmed by it all. Going through everything did remind me of the many projects that I have on my list (and those that have not managed to get onto the list) but overall is a sense of calm and achievement. 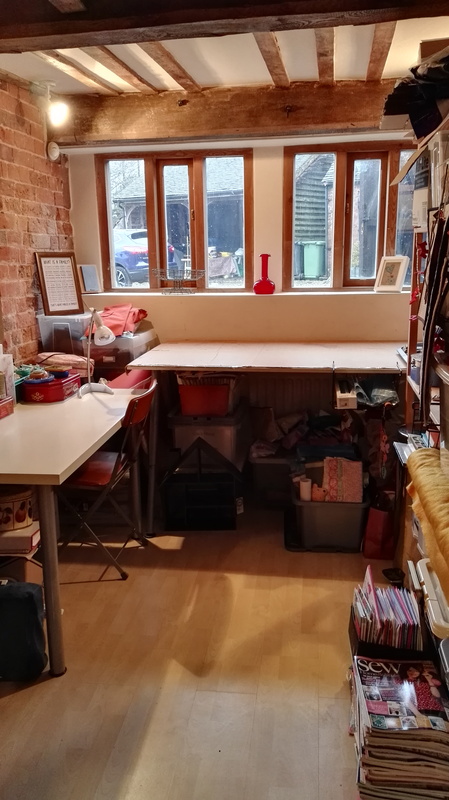 I truly hope to keep it nice and tidy, but when life gets in the way it’s just so easy to throw something on the table and shut the door behind me! Anyone else starting their New Year with a tidy up?